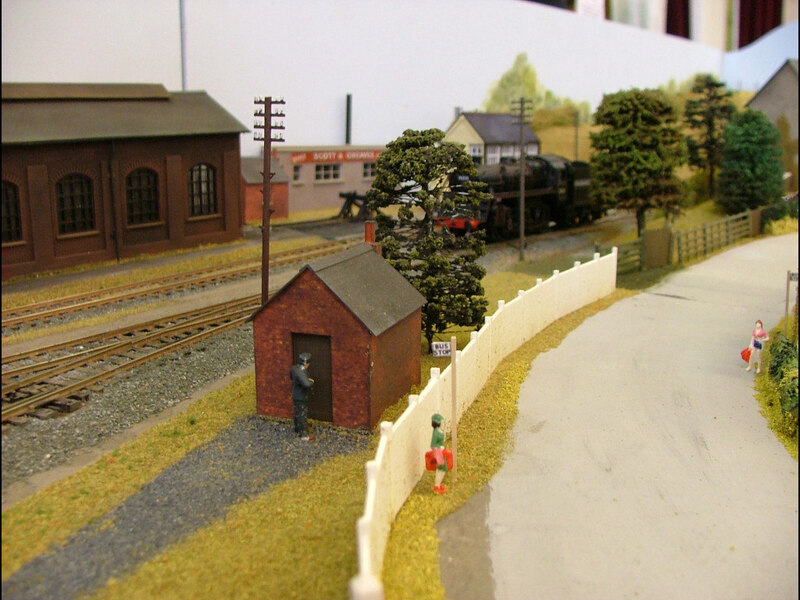 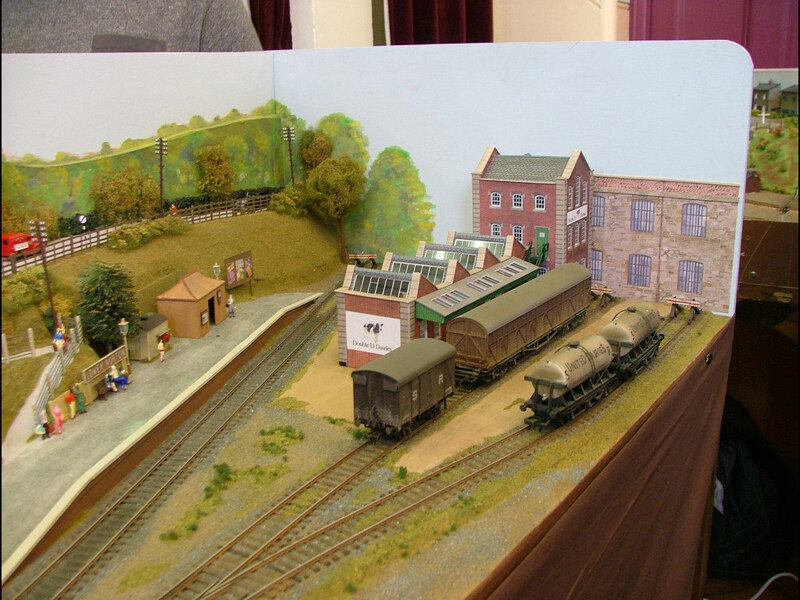 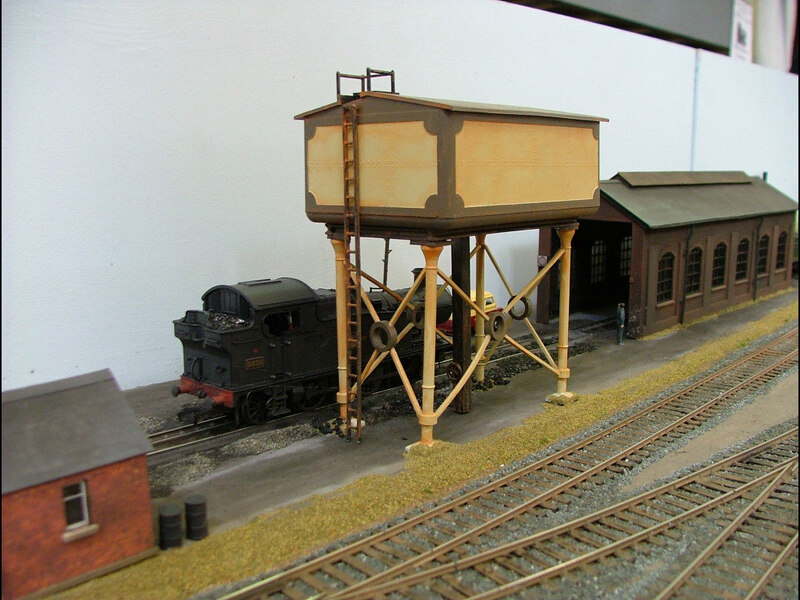 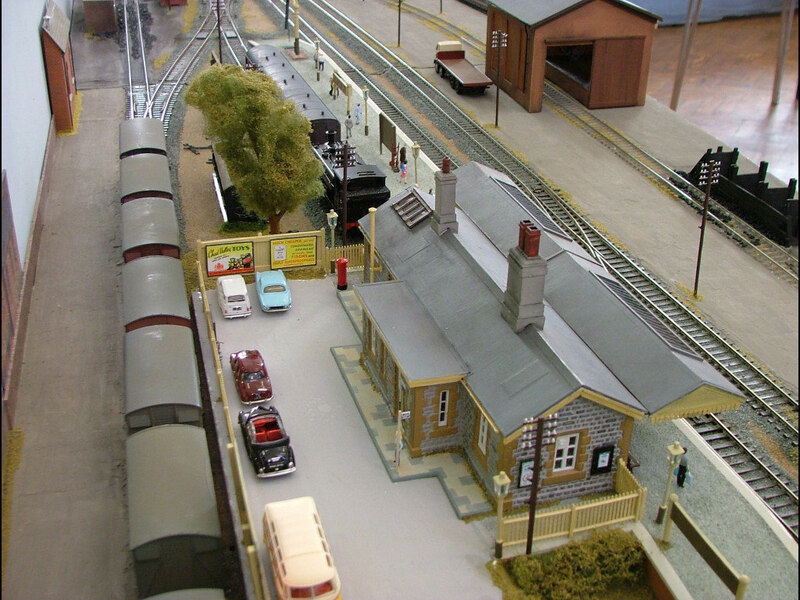 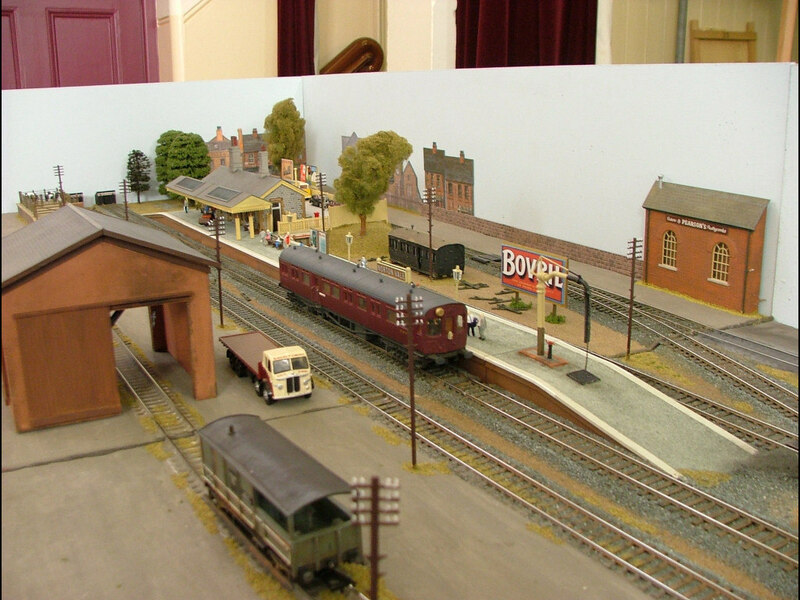 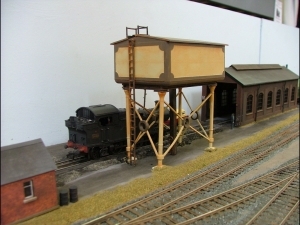 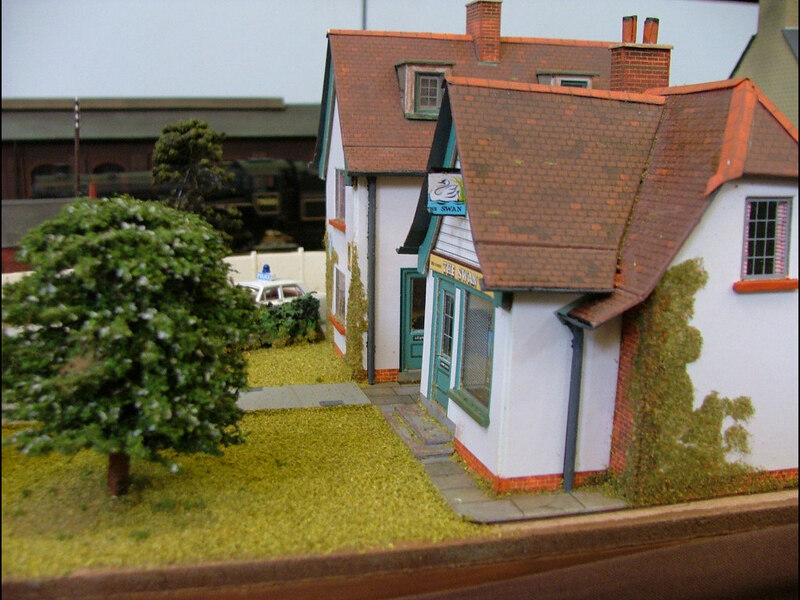 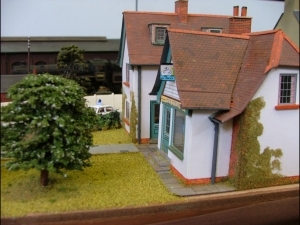 Construction of this ‘OO’ – 4mm scale portable exhibition layout began in 2010 with the intention of forming the nucleus of regular club evening activity for those members modelling in this scale. 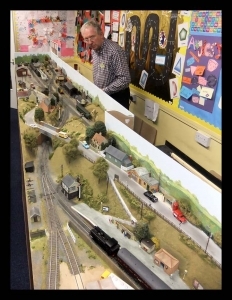 It was also an opportunity for members to learn certain modelling skills and to build a layout to exhibition standard using a mixture of kits and scratch building items. 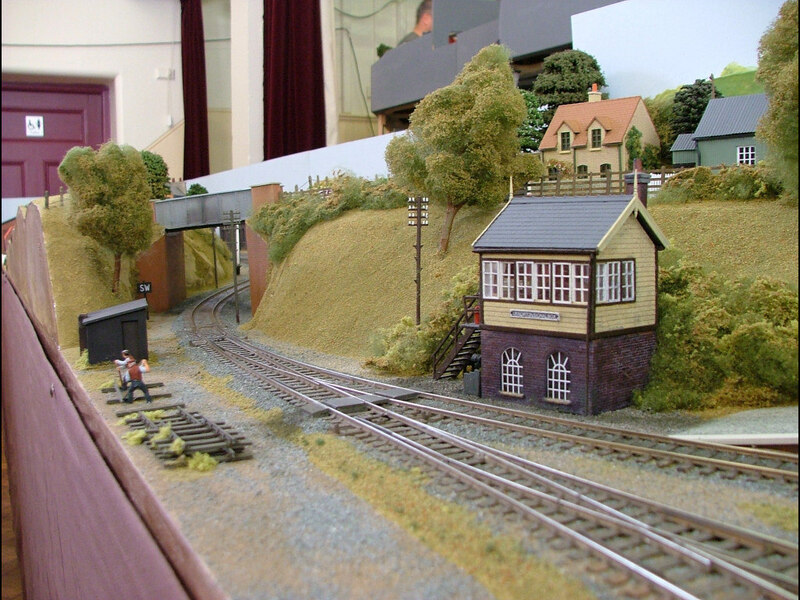 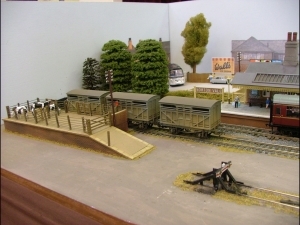 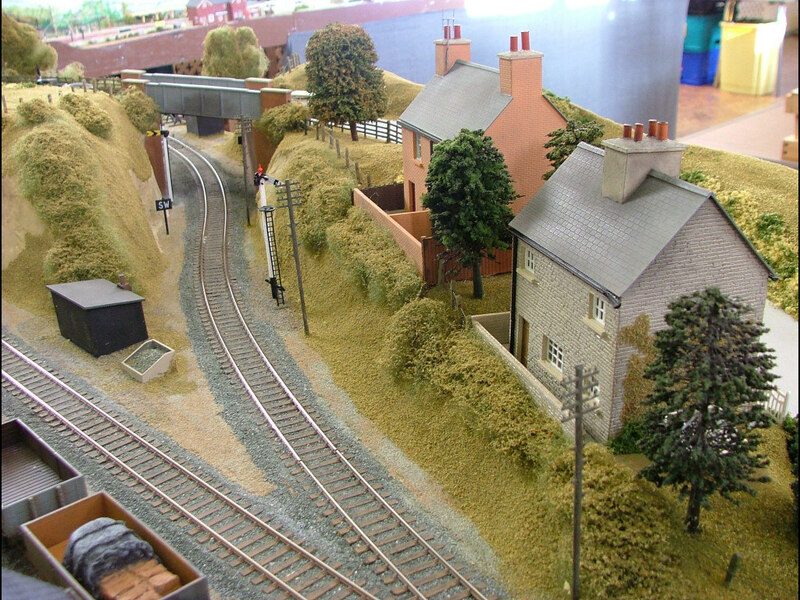 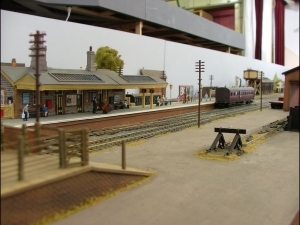 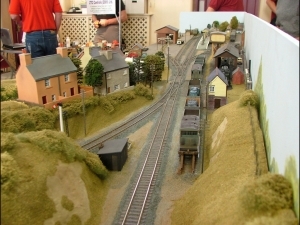 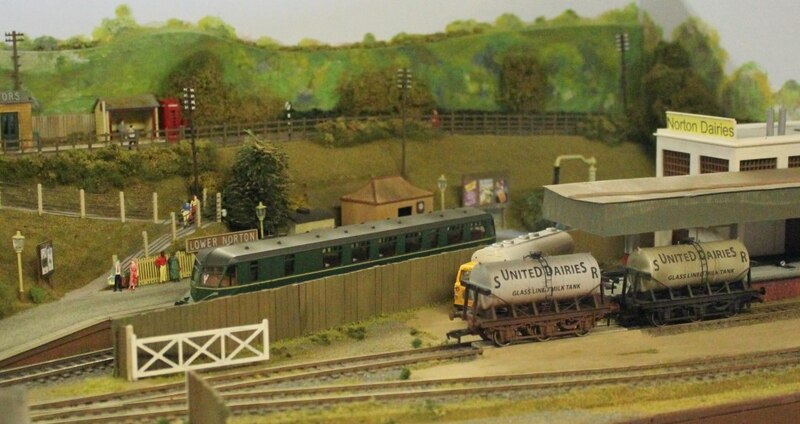 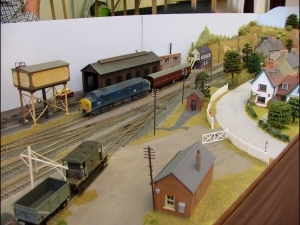 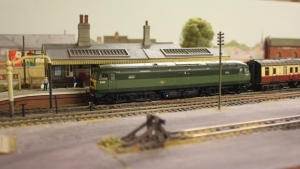 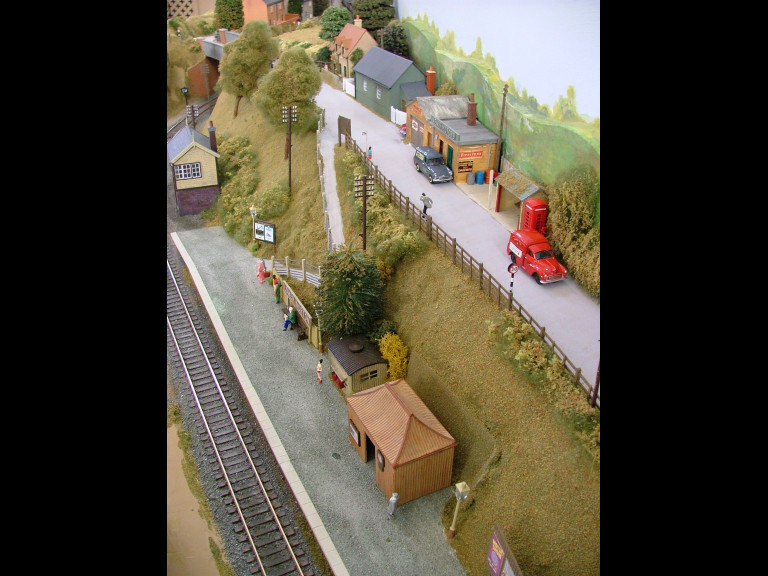 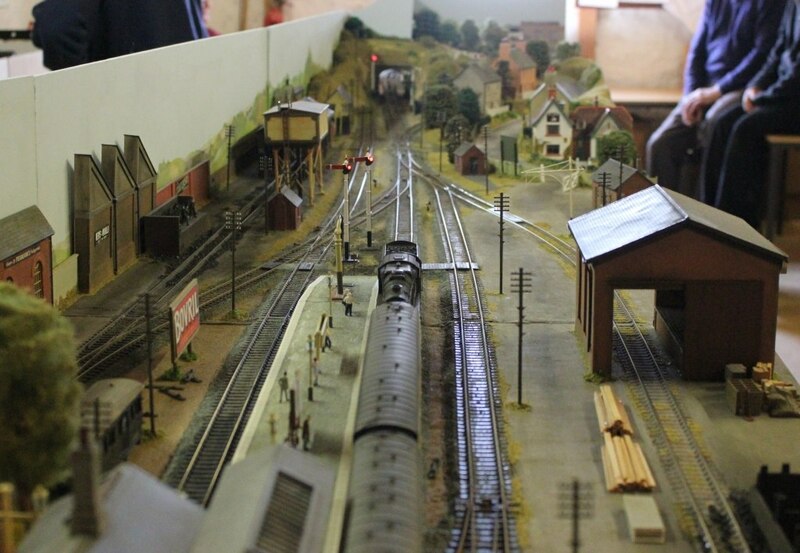 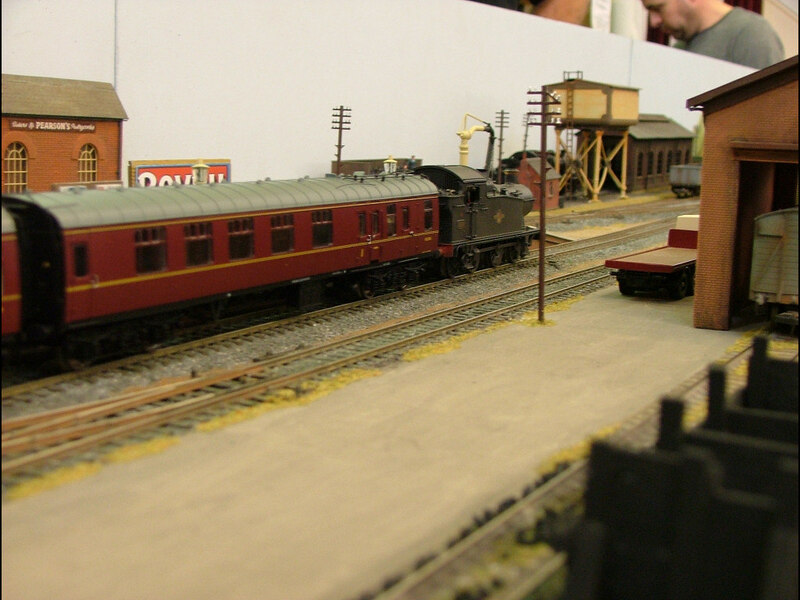 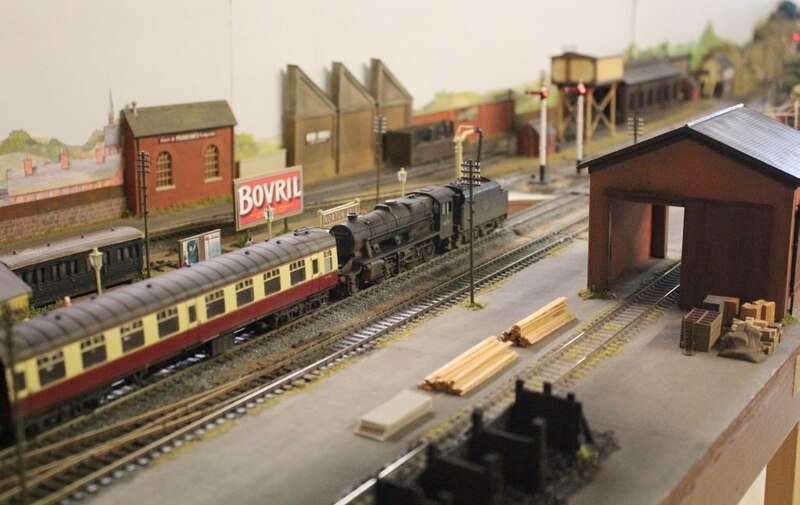 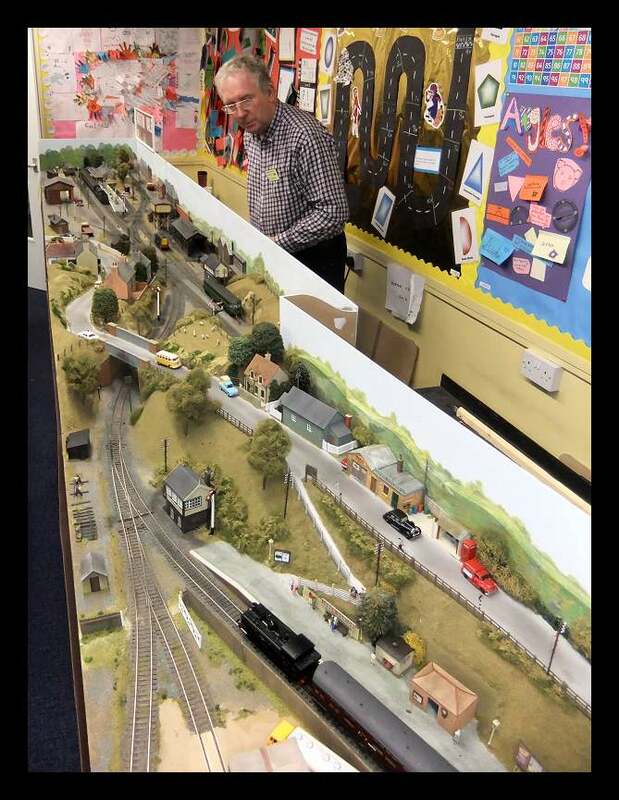 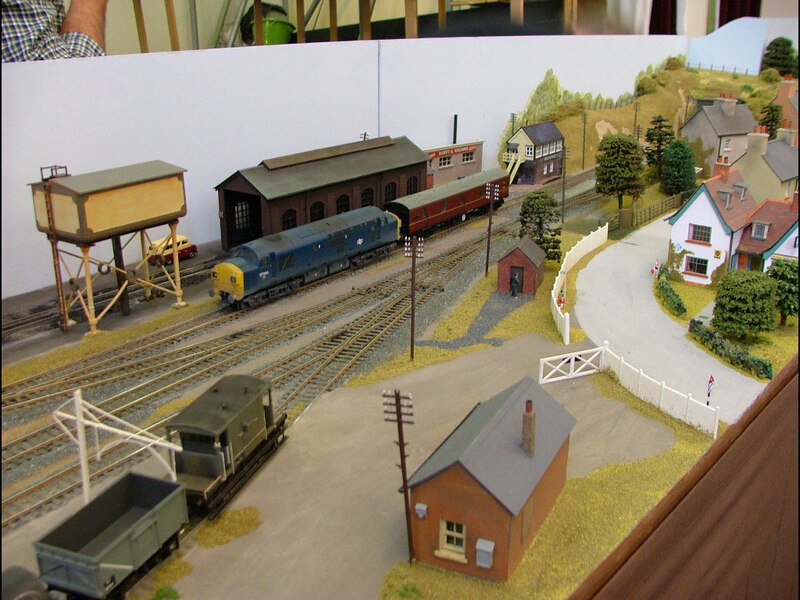 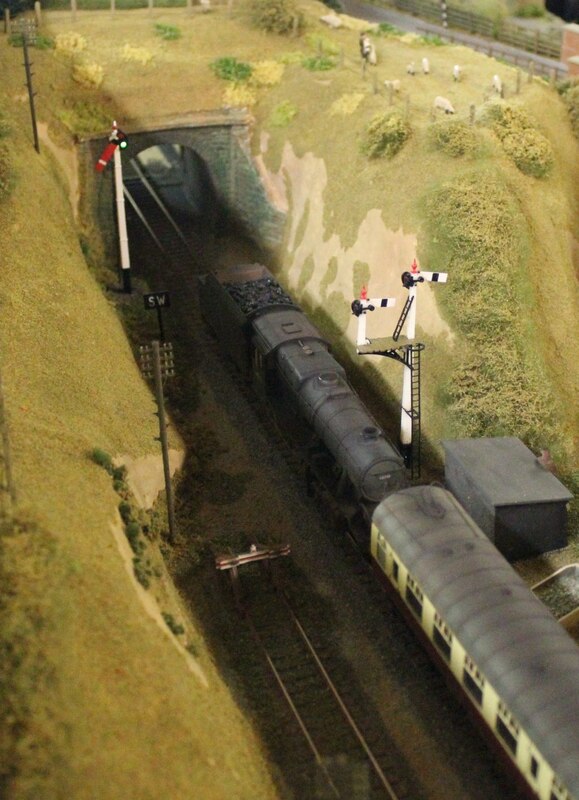 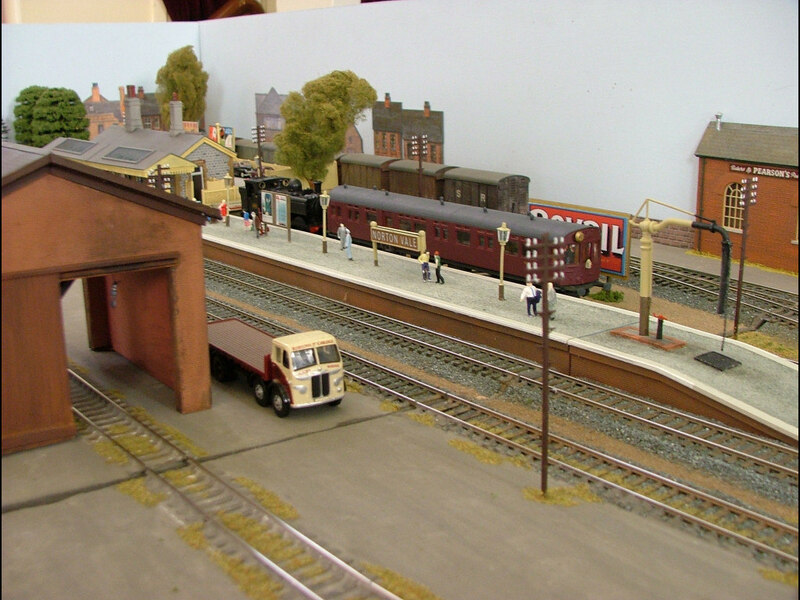 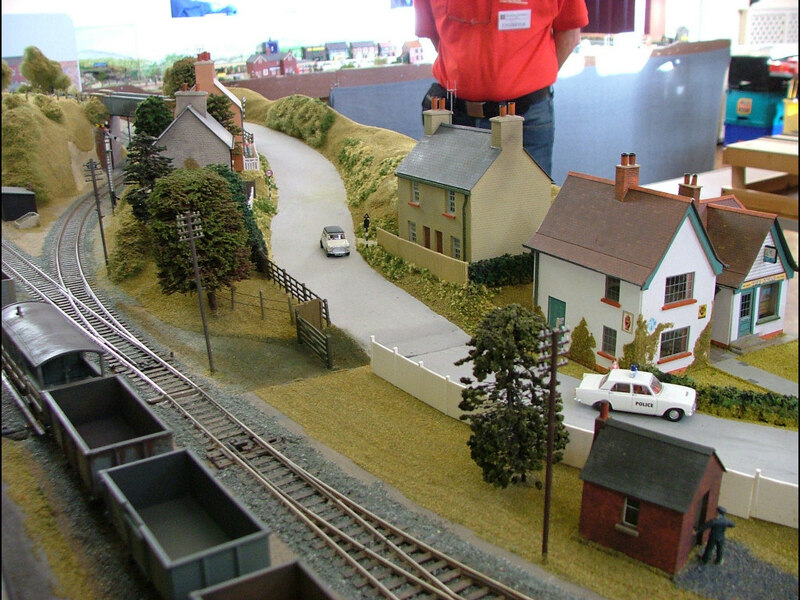 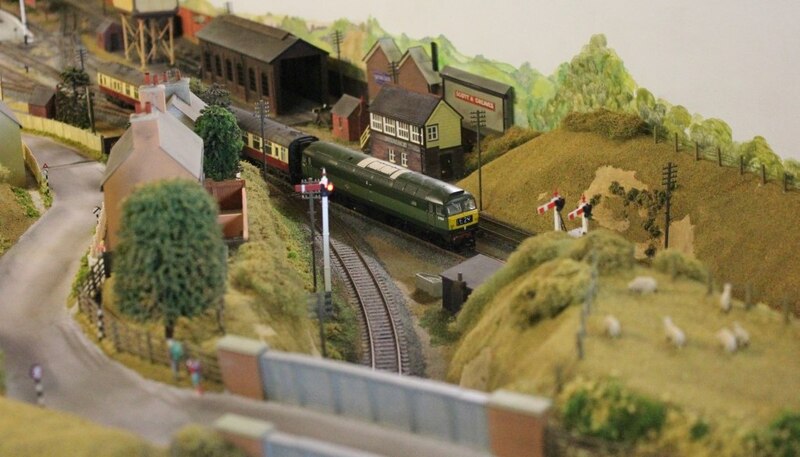 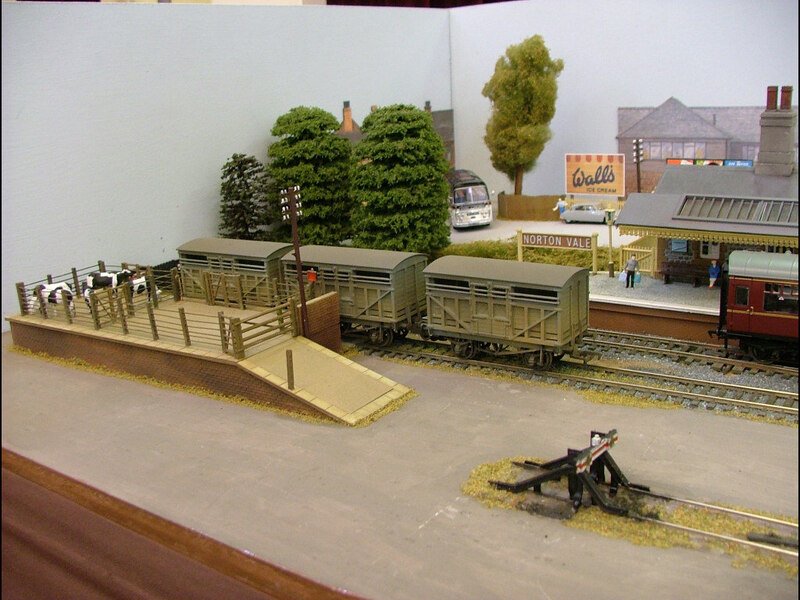 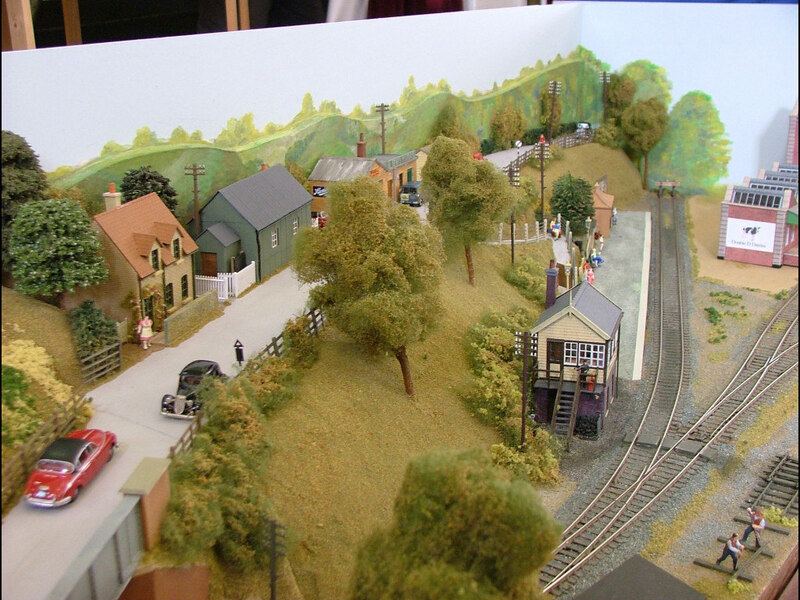 Sadly, one of our founder members, Alan Webber, died in 2012 so it is in his memory that the layout will be completed and exhibited at local shows. 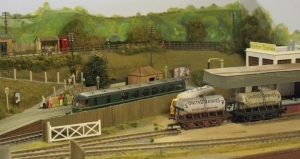 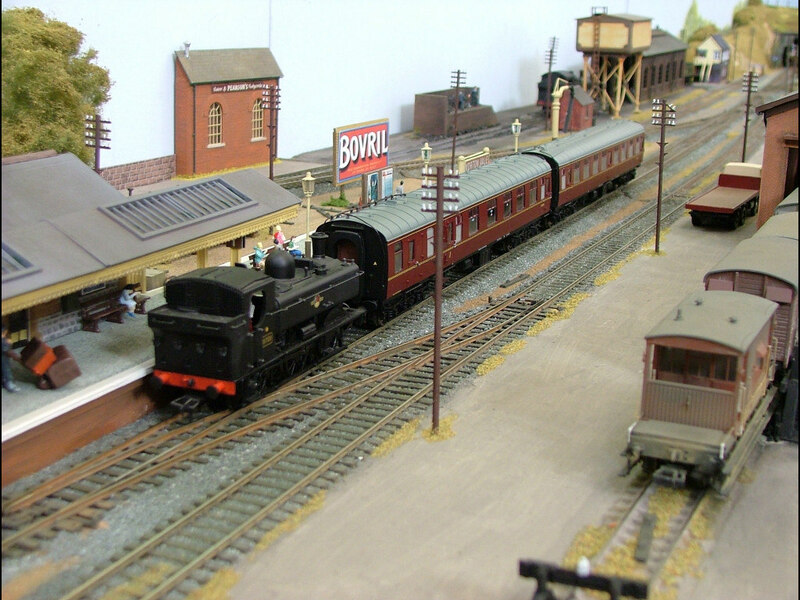 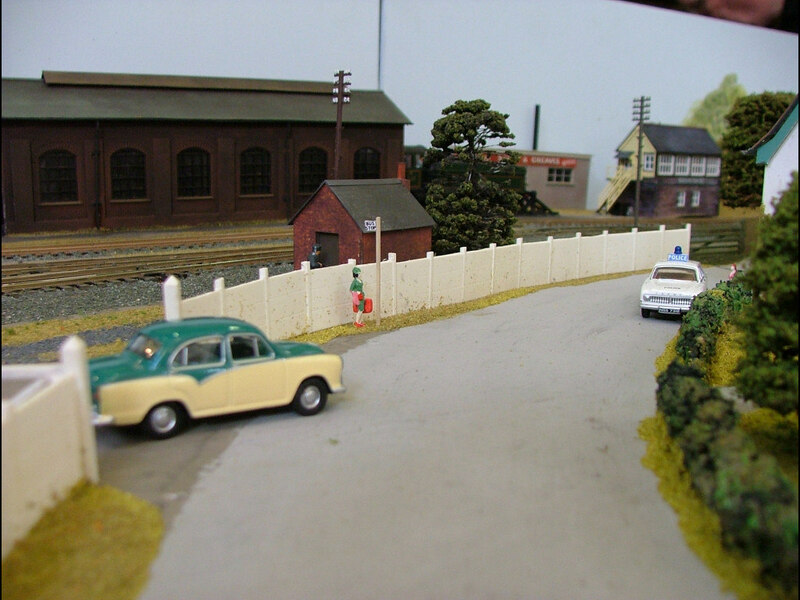 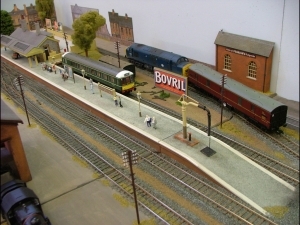 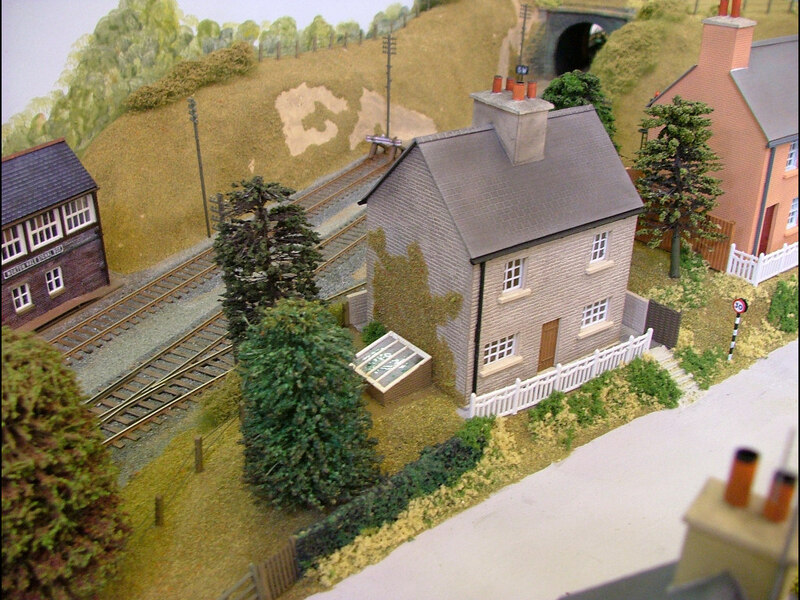 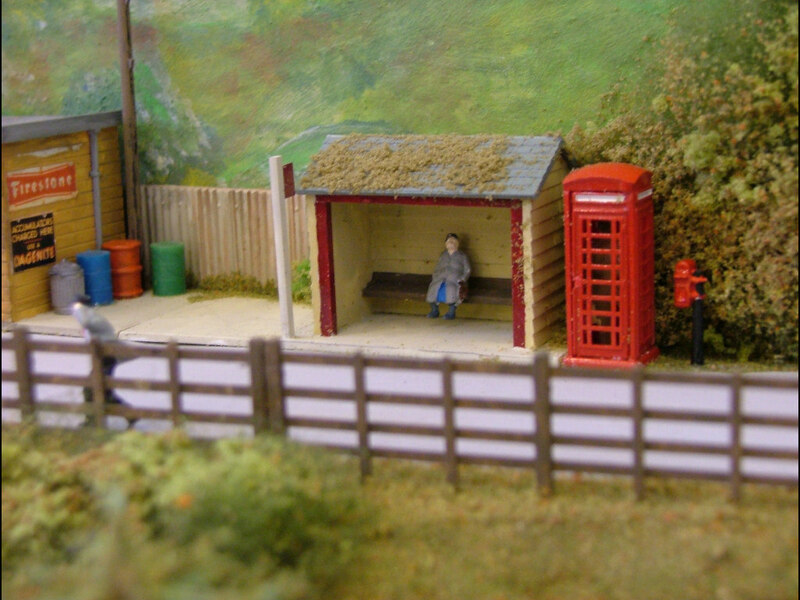 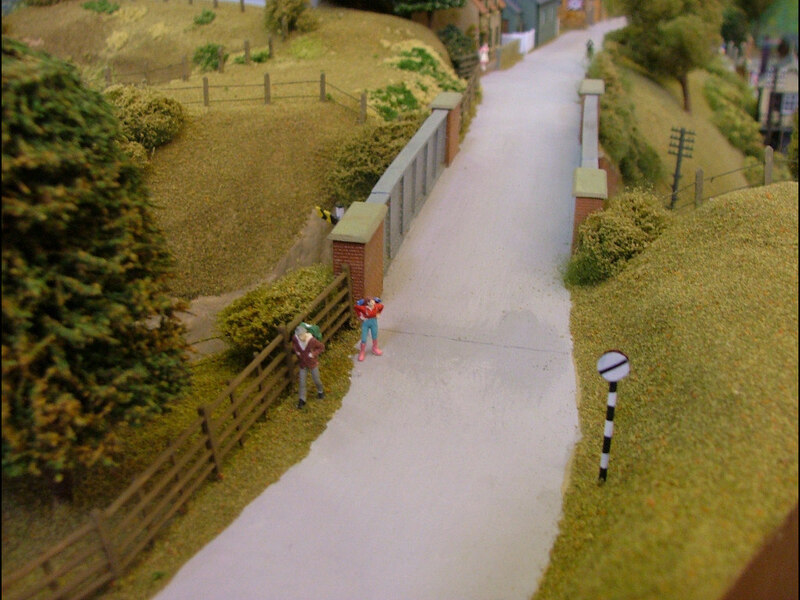 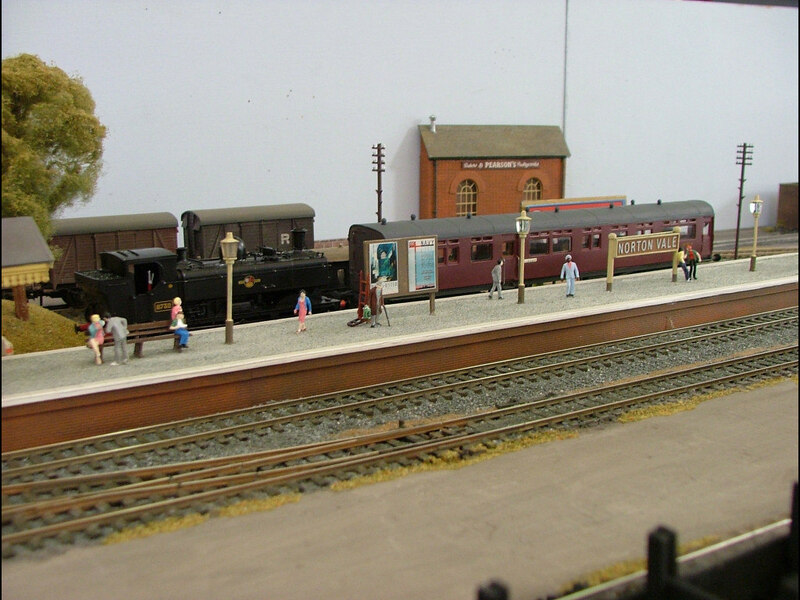 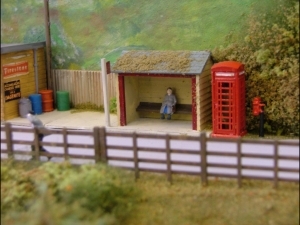 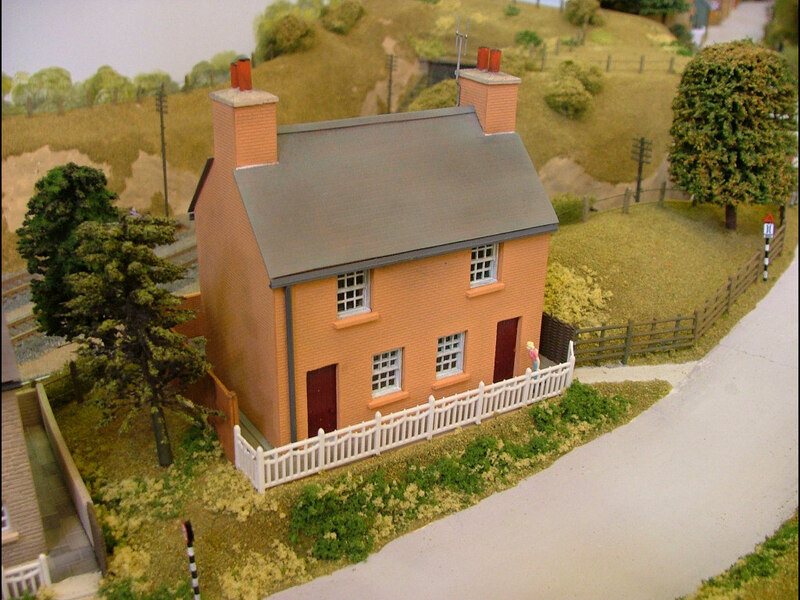 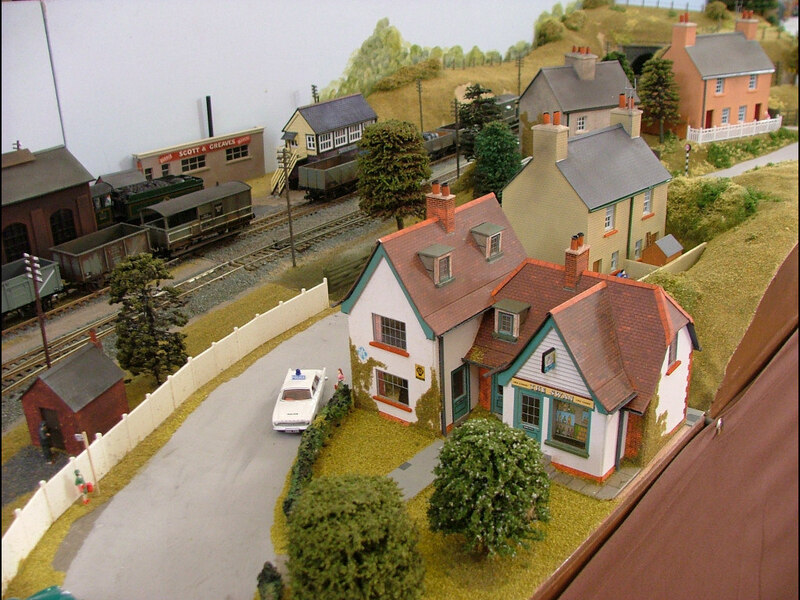 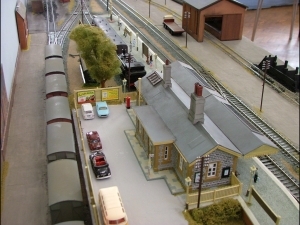 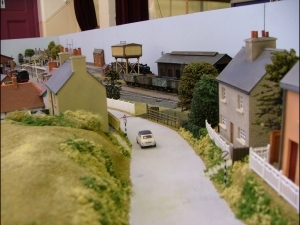 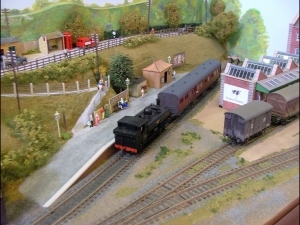 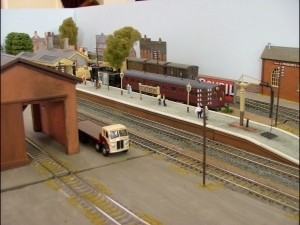 The fictional location of the layout is supposed to be somewhere in Oxfordshire in the Banbury area on a truncated cross-country route. 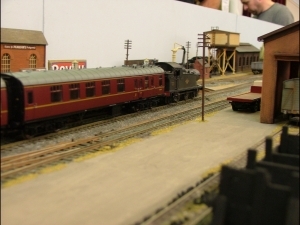 The era is 1960-1962 when steam and diesel were operated together and trains from all regions could be seen (except Scottish!). 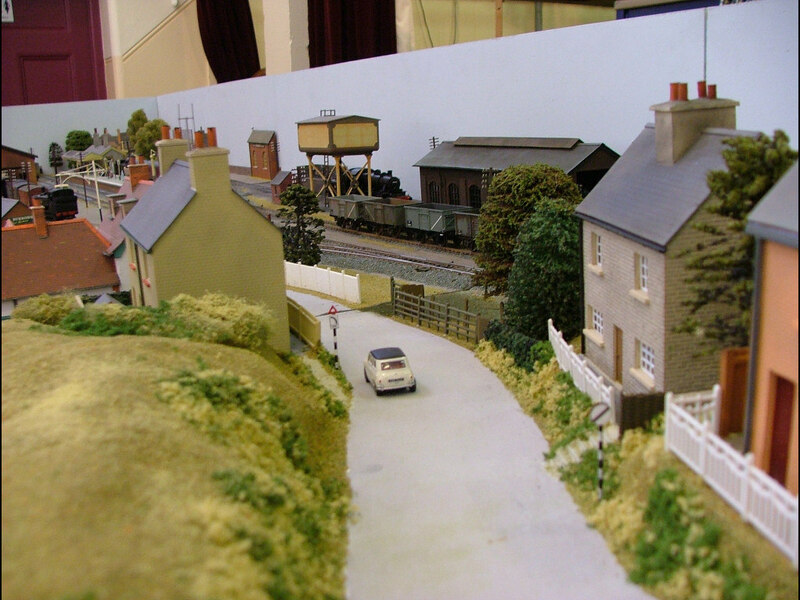 This situation suits group members as there is equal interest in steam and diesel traction. 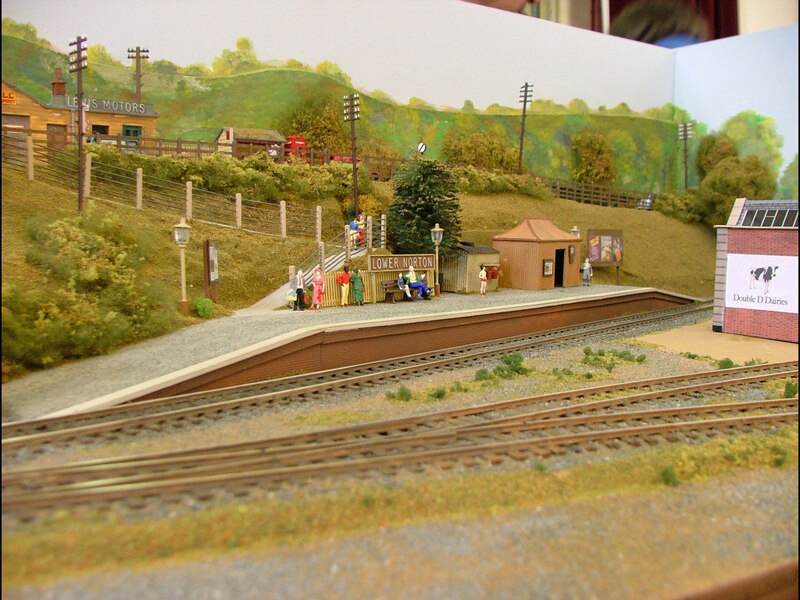 From the outset it was not intended to build a complicated layout. After some searching of track plan books, a suitable plan was found in Cyril Freezer’s PECO Publication ’60 Plans for Small Layouts’. 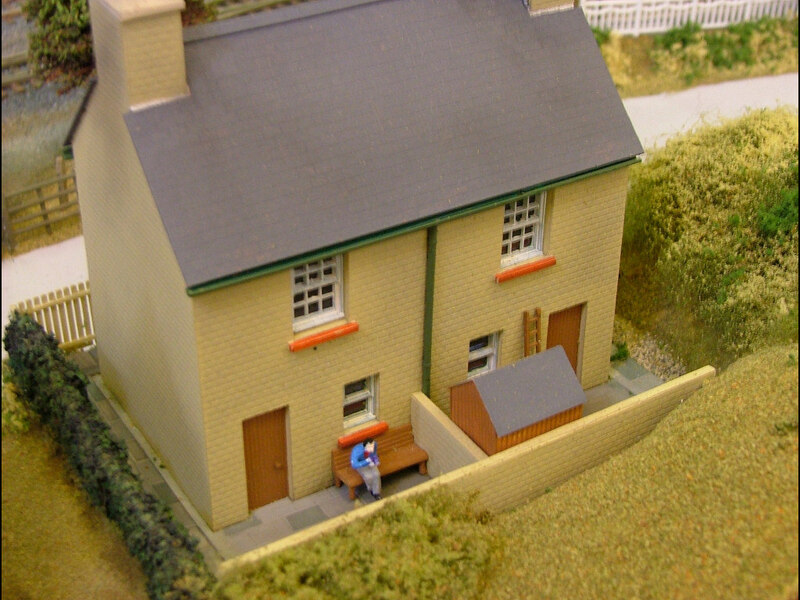 The plan selected was No. 47s and seemed to be an ideal layout that combined railway and scenic interest in roughly equal proportions. However a couple of changes were incorporated; the inclusion of a double slip at the station throat and a long carriage siding. 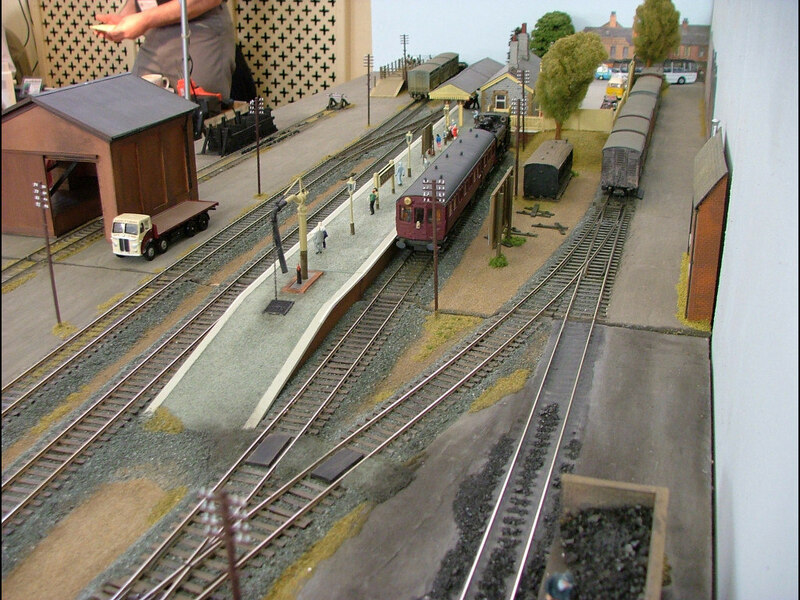 Trackwork is PECO Code 75 fine scale and points are operated by Seep solenoids. 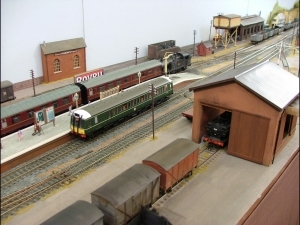 Locomotives and rolling stock belong to club members so there is a wide selection to call upon. 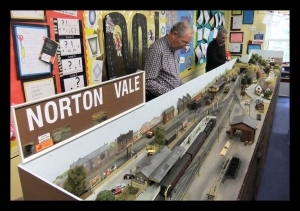 The fiddle yard, located under the village of ‘Lower Norton’, employs cassettes as there was not enough space to build a whole fan of storage sidings. 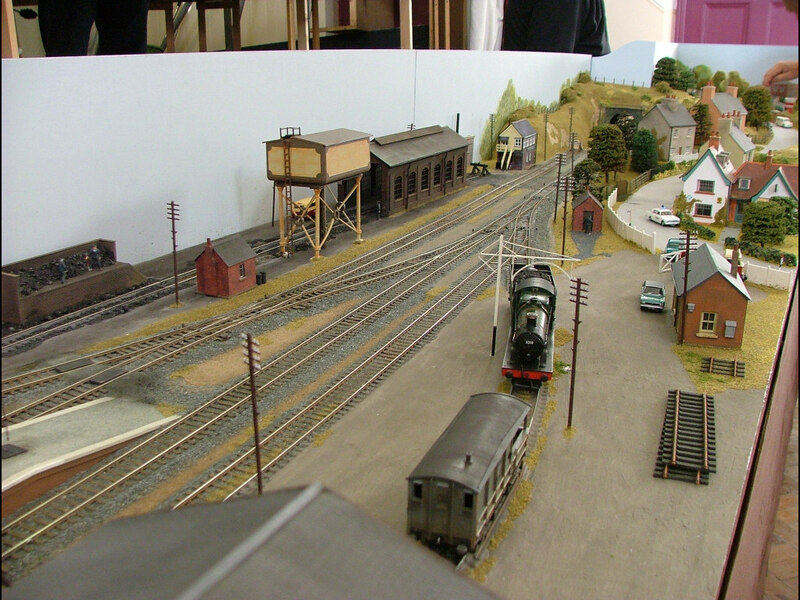 To date (Feb. 2013) the layout has been successfully exhibited on three occasions, although not yet completed. 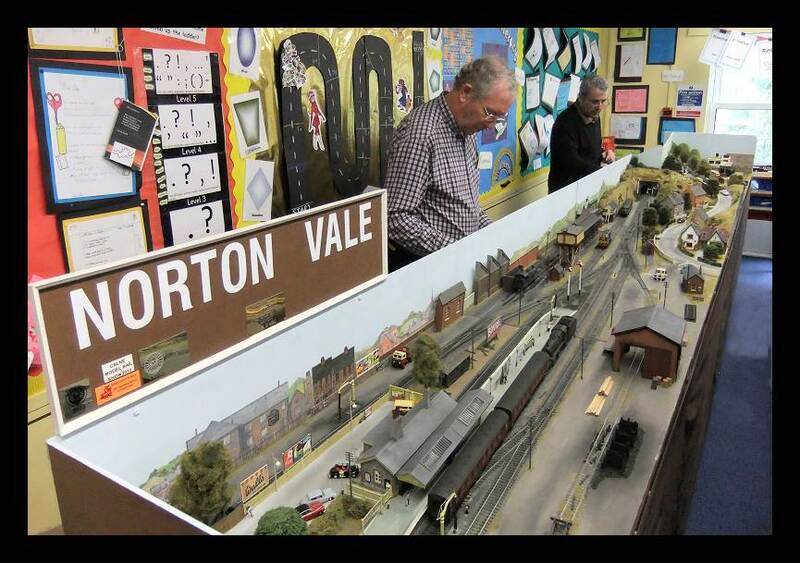 There are plenty more details to add as well as more working signals, also a rail served dairy needs to be installed at ‘Lower Norton’.